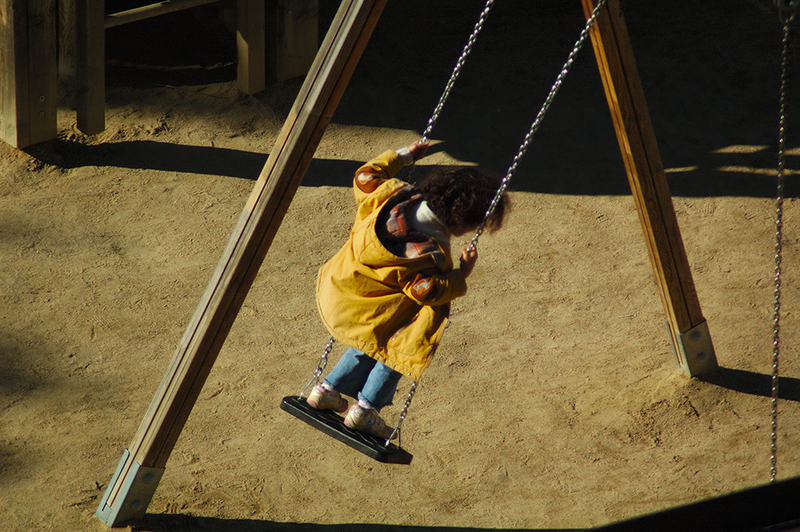 Anonymous kid standing on a swing under the last rays of the sun in a lonely cold winter afternoon at the park across the street as taken by my daughter, Sara, from our bedroom window. Happy Easter everyone! Everything rare searches for something alike. She surely received the ability to see things. Spending now more time on the playground with my small son allows to re-discover such joy again. A wonderful Easter celebration as well. This shot is great ... the child is happy and he/she makes me feel real good. Happy Easter dear friend Carlos!